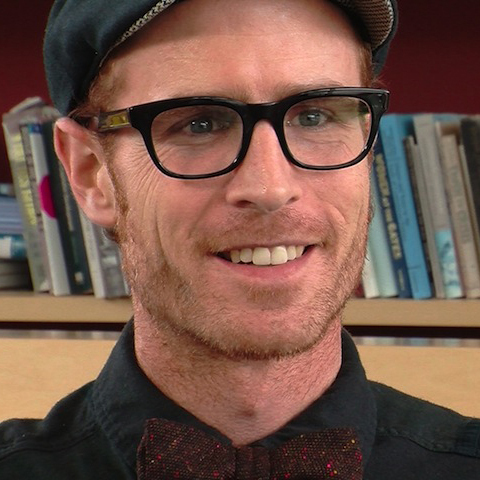 Ian Alden Russell is Curator of Brown University’s David Winton Bell Gallery and Lecturer in the Rhode Island School of Design’s Glass Department. Previously, he was Assistant Professor of Curating and Contemporary Art at Koç University in Istanbul, Turkey. His recent projects at Brown include Melvin Edwards Festivals, Funerals, and New Life, Pierre Huyghe’s Untitled (Human Mask) and the premiers of Fatma Bucak’s And men turned their faces from there, Vincent Valdez’s Strangest Fruit, and Wafaa Bilal’s The Ashes Series. Other recent projects include the Irish premier of Mark Dion’s Against the Current at Ormston House in Limerick, Ireland, contributions to the Safina Radio Project at the 56th Venice Biennale and commissioned research for “Socially Engaged Art Practices and Education in Contemporary Discourse” at UNIDEE, Cittadellarte-Fondazione Pistoletto in Biella, Italy. His writings have been published by Cambridge University Press, deCordova Museum & Sculpture Park, Museum of Contemporary Art, Chicago, Oxford University Press and Springer-Kluwer. He holds a Ph.D. in History from Trinity College Dublin and has held fellowships at Brown University, University of Notre Dame and University College Dublin. How is exploring art useful as a way to learn about other societies? What can art reveal about history or current events? How do you choose art for an exhibit? How do you go about analyzing a work of art?